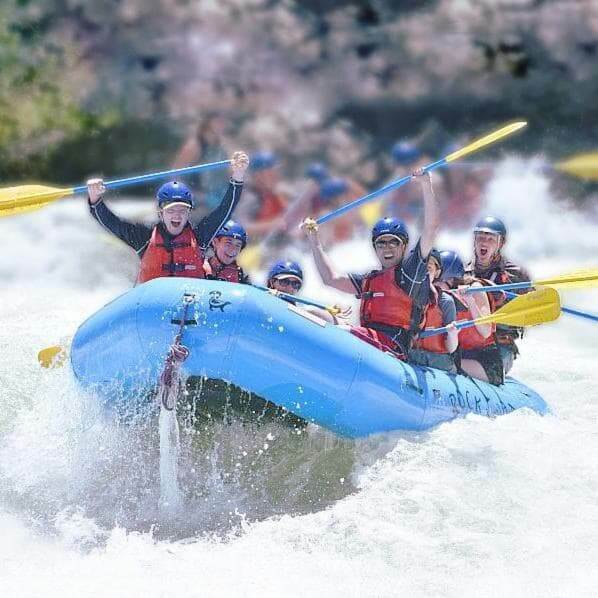 Spend an afternoon with your group whitewater rafting with our one day Splash About trip. 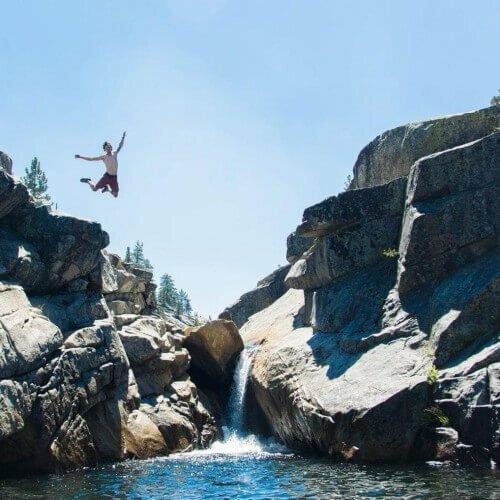 Our experienced guides will take your group right from the banks of our campground down a beautiful 9 mile stretch of the South Fork American River. Experience an amazing day of swimming, water fighting, spectacular views, and thrilling Class III rapids. This trip will also include morning in camp time and a lunch. 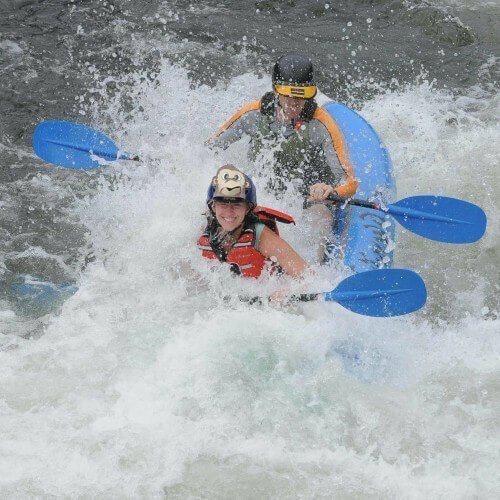 This unique whitewater rafting trip will help to bring your group together using fun, adventurous challenge and a team building perspective. Call us 1-800-738-0555 for last minute trips, adding camping, or if you have less/more people than the online system allows for a given date. I had so much fun at Rock-N-Water! I’m so glad I was able to go rafting, our guides were incredible. They made it so much fun for everyone! As always, we had a wonderful experience with Rock-N-Water! The weekend was well-planned and prepared by the courteous staff and allowed us the opportunity to focus on our students and our purpose. We are so thankful for the hospitality of a Christian organization like Rock-N-Water who is making the most of God’s beautiful creation to further His Kingdom! Our group had a great time! We enjoyed the atmosphere and the excitement of the rafting. As I’m sure you have heard, the guides were great, very thorough and personable. Great job Eden. It was a fun day! Awesome! Hopefully a new family tradition. It was great! I really enjoyed the activities, meals, and rafting. I especially love our guide, Josh as well. I don’t think I would really change anything! thanks for a great time! I felt treated as though I was a person and not another customer. I truly bonded with my river guide, who was a great role model, and very exemplary of how a young Christian man ought to be. YOU WERE THE BEST JOSH!! All in all I had a great time and have no complaints. Josh our guide was knowledgeable and safe! We had a blast and our raft didn’t tip over! We will definitely be back. We all had so much fun! Avery was an absolutely wonderful guide. He is bright, conversational, and definitely added to our overall experience. We are looking forward to coming back in the future! All the participants and our staff had a wonderful time on our trip… The Rock-N-Water staff are consistently remarkable, you all are so engaging, approachable, now how to have fun, and generally humble. The meals were all great, and we really appreciated the way you took care of those in our group that had allergies. The trip was exactly, if not better, as “advertised.” The highlights, of course, center around time on the river. We look forward to future trips! It was really fun from the group activities to the river raft. The three hours it took to get down the river was just right. We had an amazing time with Rock-n-Water! Thank you for tailoring a trip just for our family on such short notice. Our guide Josh was fantastic, friendly, and fun. We felt entirely comfortable in his capable hands. Here’s to many happy returns. It was so amazing. I cant wait to go back again! Great they let you get out of the boat and swim. I would recommend over another guide company. it was fun! exciting , meaningful, special. my boys truly had a great time. We were able to connect with one another. the leaders were awesome, fun good care takers. everything about the property to the food to the swing to the games to the rafting to the camping is just perfect. There’s nothing I would change. I would go every year. I could see how much of a great time every one was having. Pure clean meaningful fun in a christ centered place. The staff does everything they can to accomodate us, support us and customize the trip. We were supported through love and prayer. Its hard to leave. I have bragged all about the trip to everyone. I love how much I was able to arrive and not have to worry about doing anything, I was able to relax, I didnt have to cook… all I had to do was enjoy. The staff are very very well organized. thank you so much rock and water! we love you. I highly recommend Caleb our guide. Bless his heart! I love who was in our lives during our trip. He means a lot to me. It was very fun and I will never forget it !! It was so great the guides we so much fun and so chill with everything. I really enjoyed it and would definitely go back! She had a wonderful time! Great guide! The experience was both fun and relaxing! But the guides made me forget my nervousness. I was able to relax. Everything was fantastic – from the leadership, to the food, to the rafting! I loved the camp’s atmosphere, the competent and fun staff, and the fellowship with other groups while rafting on the river. Your camp is an amazing blessing! Rock ‘N Water provides such a cool experience. Their campground is beautiful and set right on the river. The environment seemed to make me let out such a sigh of relief and helped me get away from it all in a healthy way. Most retreats I go on still have staff that are running around and seeing their stress tends to make me stressed. Not the case at Rock ‘N Water! The pace is relaxed, the staff are available and you can tell they really enjoy their jobs. Also, the food was DELICIOUS and healthy. I participated in the rafting excursion. The guide was confident and did a great job. He helped us stay safe, have fun and get to know each other better! The rapids were exciting and we got to swim in the river. I totally loved the trip and I can’t wait to go back! Loved every minute!! Guides and staff were wonderful and friendly. The facilities and equipment were what I would expect for an adventure such as the one we were on (that’s a good thing!). It was absolutely awesome the scenery was beautiful and the rafting was unforgettable. It was sooo much fun!!! This place is great for groups and families! !whoever goes, please teach them to swim. Fantastic! The guides were great! Our group had a wonderful time. Your camp and staff are wonderful. You can see and feel the joy of the Lord. The group activities were fun too. Our whitewater rafting trip was awesome. Reed did an awesome job ! Awesome! Our guide was amazing with our kids and went above and beyond to give them a great experience! GREAT! Enjoyed every minute of the rafting trip. Eric our guide was very friendly and informative about the route. Felt safe the whole time, and look forward to going again! Loved our guides and experience once we were rafting, our only complaint was having to arrive so early compared to when we actually left to go raft. We had traveled from about 2-1/2 hours away so just didn’t feel like we needed to leave to early to get there when we then waited for 3 hours to go rafting. Love it! The two people who guided us. One of them knows sign language. They pleased us in many ways. We would love to come back! Amazing trip! All of my students had a blast and I really enjoyed it. It was the perfect day trip. It was fun, the food was great and the people are really nice, there are a lot of things to do at the camp and the camp is not to big. It wasn’t communicated to the camp guides that we wanted worship and ice breakers for our group and that was a let down as we had it in our agenda to be part of our program. Leaving us to come up with last minute ideas. The guides were super nice. The experience was great but it needed to be better communicated to the guides from the office for what we wanted and what we were expecting. GREAT, The staff was friendly and accommodating. Spending time on the river with Colin was a gift. He is a good hearted, good looking, smart young man with many God given gifts. I was quite amazed how well Eden took care of us, especially helping us step on her leg to get up to jump off the high rockface, pulling us back into the boat after we went in for a dip; and just amazed at her heaving the rafts around on top of the van. It was a lot of fun. The guide was kind and helpful and I so not have any complaints. I was scared at first, but once we got going it was amazing! I would totally do it again! The guides were engaging, helpful, and fun. The whole spirit of the trip was extremely enjoyable. Even though I only did a one-day, single-river-ride trip, I had a heck of a time and felt extremely welcomed by the whole staff. A lot of fun but felt very safe the whole time. I loved the whole day! I’m really glad we had Emily as our guide, and Eden riding with us. They were awesome and made the time safe, fun, and intentional. Great staff. Great experience. Always a hit with our students. It was great. The value, the service and food, and the conversations all enhanced the experience and, coupled with being in creation, made for an ideal trip. Thank you so much. I hope to explore how a calc or physics class can perhaps make a trip. PS Sorry it took so long to provide feedback. My browser wasn’t opening this page for the previous attempts. God be with and for you and this camp. It was a total blast! My kids loved it and we will do it again! Rock-N-Water was fantastic. Awesome people and great facilities. Drew was a fantastic guide and made the trip so much fun for the boys. Can’t wait to go back! My kids had a great time! Our experience was all that we had hoped for: the right balance of structure and free time, risk and safety, adventure and challenges. 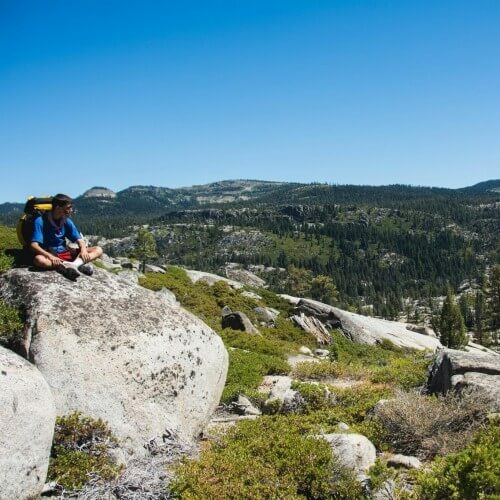 We appreciated the laid-back, fun attitudes of staff, the “ruggedness” of camp and the accommodating/easy-to plan adventure that was just right for our needs. Thanks, RNW! It was really fun. I enjoyed myself. Definitely one of my best adventures ever!!!! Great time! The staff were very friendly and fun, and they helped get the students excited about the team building games. They were more than willing to jump in and help us with worship, which meant a lot and helped our students connect with God out in nature. They did a great job with safety instruction before heading out on the water, and were happy to learn about the kids and share some of their life experiences as well. The nice flat and virtually rockless camp ground was great for sleeping. And of course the salsa after rafting was delicious! Thank you Rock-N-Water! I very much liked it; I had been nervous about rafting but definitely changed my mind during the trip. I especially liked how relaxed the camp felt and how we could climb on top of the lifeboat stacks on land, and how we prayed before eating and then each table had to earn its right to eat by singing songs or answering questions. I appreciated that some staff members came and spent time with my church group during our campfire worship sessions. (I also liked how the bathroom stalls had bible verses written all over the doors!) This camp was more than I hoped for and I most certainly plan on coming back. It was great! M son came home with stories about his experience. I was really concerned about safety because of current water levels. Caleb said he felt very safe and had a blast so, thank you. Awesome time at RNW. Good was good, staff was great. Only major complaint is to upgrade your bathrooms. Other than that great job! With only a weeks notice, they changed their schedule around to accommodate our party of 4. The family who is the owner was right there,as usual, having lunch in the kiddos of all the guests. The “owning” family,had members all over an living there, not just there to work. I truly felt like a guest..”GUEST” IS a word that is used often, but at rock in water, I did. They could only run this operation one way…and only one way…..with the continual help from Jesus. Impossib me any other way. It was awesome, always a blast and would gladly do it again. Loved my time at the Teacher’s Recess Campout with Rock-N-Water! Our guide was informative and encouraging, and made it a really fun experience. The entire staff was friendly and easy to talk to. The food was great, and campfire time was awesome. Cannot wait to come back again next year! Was really fun. Cool pictures. Thank you so much for a great time! We were stressed out about getting there on time, but ended up waiting around. Our group leader clearly missed some info about the timing.Cheers! My fellow teacher and I had a BLAST! 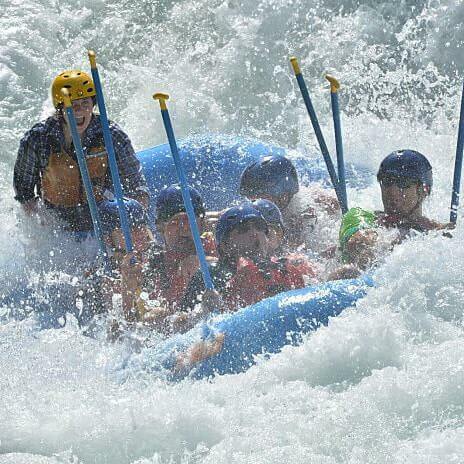 The white water rafting trip was really fun and challenging at the same time. Our guides were very patient and helpful with each one of us, and made for a successful trip. The meaningful relationships we made with the other teachers over games, delicious food, and an inspiring campfire worship will never be forgotten. Overall it was a great experience. The camp is nice, the staff is amazing and the food is good, yet still has the element of camp food, which is nice. 1. 7:00pm check in time is too late. I realize that we said we would do dinner on our own, but having groups come in at 7:00 is really hard to do, and not being able to really set up our camp till then was hard after a long drive up. 2. When I was moving my car I guess I went into the second parking lot a bit fast for your liking which is ok to be told to slow down. Thats ok. but being told in front of all my students that I was driving too fast in the campground put me in a bit of an awkward situation. I would have preferred it if you guys just brought me aside and told me that instead of sharing that to my whole team. I understand being asked to slow down. I have no issue with that. But please mind the audience prior to sharing. it was fun i enjoyed it would be more amusing and entertaining if you had cell service but overall it was fun i enjoyed it but staying the night with no cellular service/wifi was pretty boring but overall a great expirence keep up the great work! Over the past 14 years our troop has used Rock-N-Water for weekend Float trips down the American River. Always a great trip and great staff to work with! It has been many years (7) since I participated in the events at Rock-N-Water but I will say that I thoroughly enjoyed the experience of team-building activities and white-water rafting! The staff was super friendly and nice and I would definitely love to return for another awesome experience. Awesome way to encourage my grandchildren to find Jesus! Loved it! The rafting guides were amazing (shout out to crazy Josh) And so kind and so fun! Phenomenal staff, amazing experience out on the river, and an overall beautiful camp with some lasting memories made… Two thumbs up! I highly recommend Rock N’ Water for anyone with a passion for rafting, and a heart for the Lord and adventure. Really good! You guys are the best! Love coming back each year with our youth group! Loved the campground, staff was professional and friendly to the group. We had a unique experience that I think most people would have with Rock N’ Water. Regardless, the intentionality and care you all have for the business/ministry you do is evident even when there are tarps over everything in camp. so fun!!! Brooke did an amazing job! I love Rock N Water! The staff are so encouraging, funny, and spiritually caring, and I felt so safe with them the whole time. Thanks for all you guys do to provide adventure, fun, and spiritual growth! We have always enjoyed our visits with Rock n Water. Rock-N-Water far exceeded my expectations!! Wonderful group of youth staff, vert tasty & healthy meals, and great fellowship time! Rafting was by far the highlight of the trip! Very exhilarating! Highly recommend coming often! It’s an awesome trip- simple and easy, it’s so helpful to just show up and get awesome time with kids doing something they don’t have an opportunity to do otherwise. It would have been great to be able to have breakfast at RNW on Sunday morning, but we ended up eating food I packed in advance in a park nearby which was fine. Thanks for hosting us! What I heard back from my son was all positive. Food, experience all good. He enjoyed the rafting the most. Hoping to see pics soon! Easy sign ups, which is a big help. It was awesome ! Thanks for making it so fun. They did a great job with the kids! I had a lot of fun on this trip. 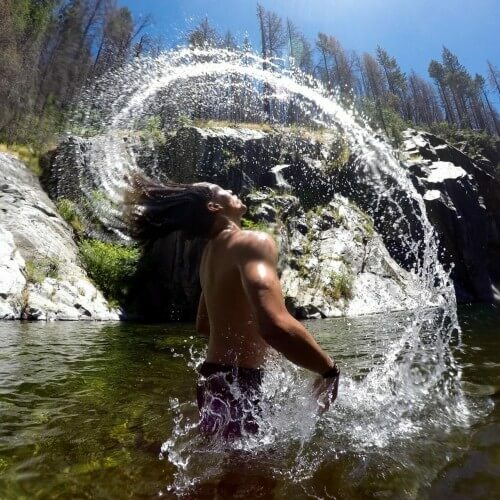 It was my first time to Rock-n-Water, and next time my youth group has this trip I will definitely go. We didn’t stop at picnic rock so instead we went on a hike near the campsite. That was really interesting, just being in nature in the calm after so much adrenaline on the river. I felt closer to God in this time, probably because I was so connected to nature and surrounded by people who follow God. I won’t forget this trip, and I will definitely share my experience with others. It was fun. I met a lot of new people and enjoyed the activities.Being around girls my age I learned about their challenges in life and how I can appreciate things differently. I was so impressed with the excitement of the guides. They all acted like they were so excited to be with us. The way that they valued us and our kids made the experience so much more fun. We had a lot of fun, especially for a team of adults who wouldn’t normally take such an initiative to voluntarily careen down white water rapids and bounce off rock walls. Well worth our team’s day! Our team had a terrific experience, even as an all-adult crew. It was definitely an invigorating antidote of excitement to break up our nose-to-the-grindstone summer tasklist. Rock N Water’ s hospitality was amazing. We were accepted by all staff and leaders immediately. The games and programs engaged all who were in our youth group. And we can’t forget the adventure of being on the water- an exciting day led by two fun guides. It was a lot of fun. The guides were knowledgeable and took good care of us. It felt like we were all very close. It felt like home, I am not Christian but I felt that God was there watching us and that he felt warned that we are worshipping him in a way that makes him smile and brings us together! Our raft leader was very sweet to watch out for me as I have fallen out of the raft before. I really appreciated his encouragement and care. It was a great experience and I really enjoyed it! Everything was awesome, thank you. Great staff! Very friendly and welcoming! Kind and inspiring.. the staff have a great attitude at all times. I had a an amazing experience! I would love to go back again. It was wonderful! Rafting is always so much fun and the guides are wonderful. They’re safe but know how to have a blast. 1.) When I called about details on the trip, I was told to be there at 10:30am as it is vitally important to be there on time. This is even stated in your documents and reminders. However, when I drove up with my family, after scrambling to grab breakfast somewhere quick, since we didn’t camp there – we had 2 full hours of doing nothing with our guide leader, who did all she could to keep us entertained until we actually got on the water. We were bored and could have spent our morning not so scrambled and showed up at 12pm to have lunch with the group. 2.) Years ago when I went down the river I remember a higher level of spiritual maturity within the group leadership. The leaders didn’t even pray with the group before going on our adventure, they only prayed with the other guides before we went in the water separately. We also didn’t pull over and spend any quite time with the Lord as I remember it years ago. My 2 cents! GOD BLESS YOU ALL! My child came back excited and ready for next year! Our visit and ride itself were so pleasant and relaxing. Tour guide/workers were wonderful! They brought positive and fun attitude! We will come again and again and spread words to our networking too! I had a great time rafting with you guys. Thanks! I wish I would’ve went on the crazier Rapids, otherwise it was such an awesome experience that I look forward to doing again!! 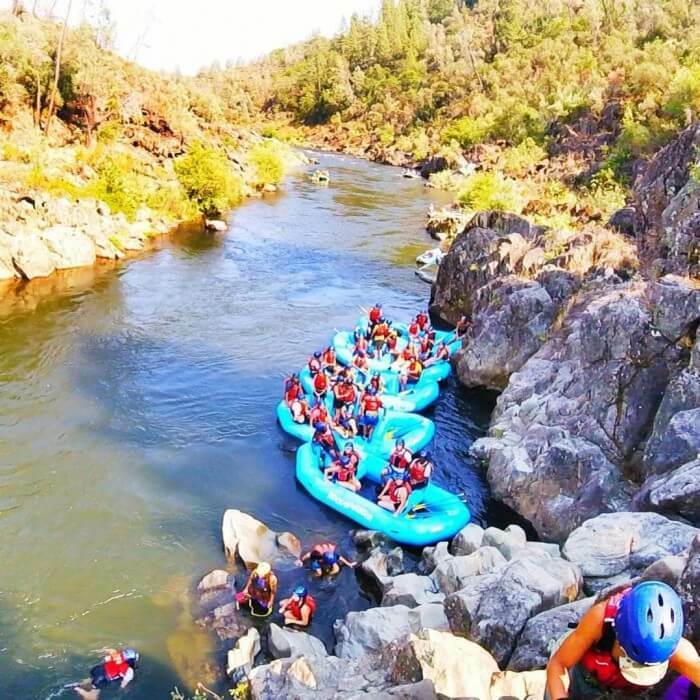 This was my 3rd time going to Rock’n’Water with my Church Youth Group Every time I have gone I have enjoyed the Lord’s beauty at this wonderful place and the water rafting. It was such a fun experience and every time I have gone we have done something different. Twice I’ve taken friends with me who also say that it was the best time they ever had. We had a fantastic day riverrafting and will definitely return next summer! We had a great day with Rock n Water! Thank you! Awesome! It would be nice for smaller churches to advertise what they are about; how many members they have who wish to enjoy the Rock-N-Water experience and if there could be combining/collaboration. “All small church’s day” or Non Denomination Day? something like that. I can not say enough about the great people at Rock-N-Water!! I cant wait for my next trip there as I will be experiencing the marriage retreat coming soon!! This organization loves the Lord and the people of El Dorado County! It was great! Rock-n-Water crew were all very kind and welcoming! AWESOME! Everyone working here was very friendly and enthusiastic about our trip. Very professional but very fun. Superb day! Our guide Josh was incredible. I have a teenage son with a disability, and Josh did a great job making sure that he was safe and had a fun and memorable day. Thank you! One suggestion – you might want to consider some alternative approaches for providing water on the trip (at least for some of your older guests). A shared jug of warm water was a bit underwhelming. Rock n water is a great place to be. The staff is friendly, caring, and does a great job of leading through the in’s and out’s of whitewater rafting and any other activity. We had so much fun! I would love to do it again. Great trip! We had 3 generations in our boat, and our guide Natasha, was outstanding! She made us feel safe, and had a great sense of humor. We had a great time! We had three boats full from our church, and everyone enjoyed it. Brooke, the guide in our boat, was fantastic. We had two kids, 10 and 12, who had never rafted before and got nervous. Brooke talked calmly with them, helping them to feel comfortable and safe. We can’t wait to come back again! It was amazing. i loved all of the guides especially Avery and we all had a great time wrafting.thx so much for having this camp. I loved coming to camp and hanging out with my Youth Group and others that were there. Our guide (Avery) was AWESOME!!! He was funny, but was totally serious about the Lord. All of the staff was super kind and helpful. One thing my group missed was coffee (with a little cream). Thank you for a great experience. I had a great time! I love being able to get into the water and feel the rapids. I thought the whole experience was great! The camp itself is in a beautiful area, and the water access right at the site of the camp was a huge plus! The food was great, all of the staff was friendly and helpful, and I think our group had a great time! Wish we could have stayed longer! Our guide, Ellen, was absolutely wonderful! Very helpful and fun around camp and a great rafting guide. Great time! Lots of fun and the people were great servants. My experience was amazing in short. Very friendly staff, nice area, good food. We had a lot of fun. Loved our guide Colin. I came here with my church some years ago for a retreat. It was a lot of fun being out on the water with everyone. There was also one point where we had the choice to jump off of a cliff into the water. Overall I had a great experience there with my church family and the activities they offered were fun and a good way to bond with everyone. It has been several years since I have experienced Rock-N-Water but I have been there twice and I must say that it is quite possibly my favorite Christian camp that I have ever been to (maybe even better than Hume!) 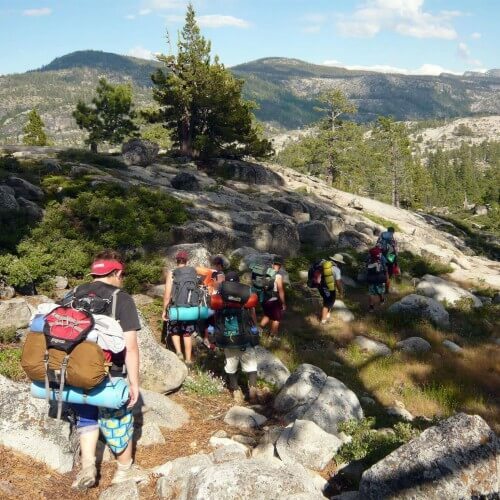 While I was there, my classmates and I were put through a multitude of teambuilding exercises, strenuous hiking, rock-hopping, swimming, rock climbing, and white-water rafting. There was not one single experience there was that was not challenging either physically, mentally, or emotionally. My experience at Rock-N-Water (the first time, since I only did the rafting the second trip) remains one of my favorite memories from my young life and I still remember it quite fondly. 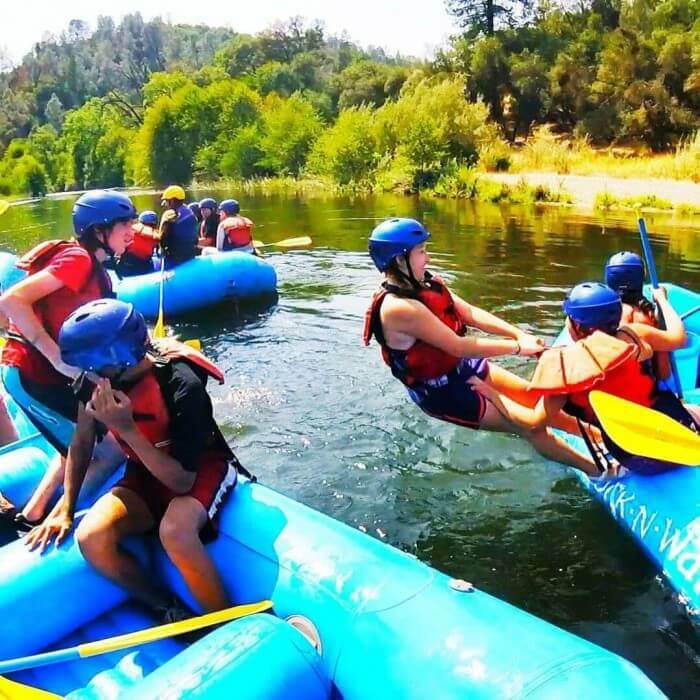 Rock n Water is unique in that the company offers so many different levels and types of adventures, not just white water rafting…it also has excellent options for schools studying CA history (especially the Gold Rush of 1850’s- my son attended in 4th grade and loved it! Rock n Water is always affordable, and great for families, couples, individuals, schools, team-building for organizations- with very friendly, competent staff to boot. A+ rating! Great balance of excitement and safety. Rock-N-Water is a powerful ministry and outdoor experience. Wonderful people, well thought out and executed trips make this the highlight of our summer. Rock-N-Water was such an incredible experience! I was very impressed by how well it was run. The meals were so good and the cooks were very careful about making food that I was able to eat. 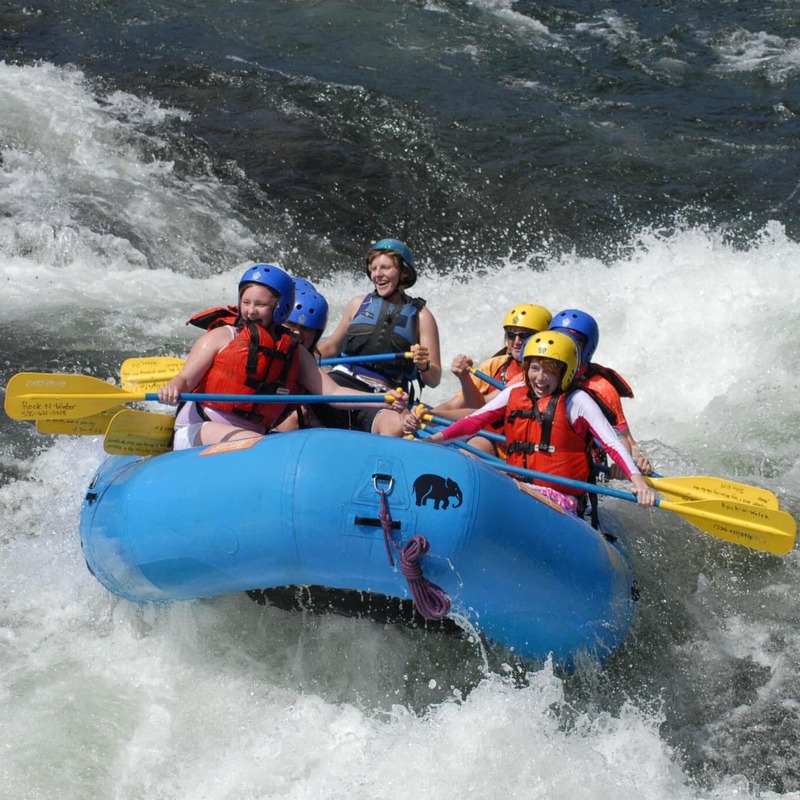 I loved being able to go white water rafting and I had a lot of fun doing that. I also really enjoyed the volleyball sand pit. This camp was great, and staffed by amazing people. It was so apparent to me that the love of Jesus was displayed at this camp, through the people that served there. Great job! Fabulous! Our guide Collin was hilarious and educational, made for a great trip! Rock-N-Water was my very first time white water rafting and the experience was great. The guides were professional and the equipment, training and instruction was top notch. I will definitely go again with Rock-N-Water! It was cool. I hated that I couldn’t bring my own food. It was a lot of fun. Great rafting experience and our guides were really cool. 4 or 5times I was a chaperone at your camp for students from a Christian school in San Jose where I worked, and once for my church youth group(after begging and paying my own way).I always begged to go to Rock -n-water because I loved the location,the camping, the outdoor cooking and dining, the activities and all the staff,the devotions, the water events and the rock climbing, the river hike, what a blast, even the games and instructions. I wish I could go back in time and do it all again. Amazing! Staff, grounds, price, and experience are awesome! Thank you! Very professional and we felt very safe on our trip . My only complaint was that some of the young teenage boys said lunch wasn’t filling enough. Maybe charge a little more for more food ? The excellence in which you do ministry is amazing! In all the years I’ve partnered with Rock-N-Water I’ve never had a bad experience! I appreciate all you do as you lead kids and adults to get out of their comfort zones, get away from their screens, and experience God’s glory through nature. I have brought many groups to RNW over the years and every time it has been a great experience for all my students, as well as our adult leaders.